President Trump said he isn’t happy with the deal on border-security funding that bipartisan negotiators worked out, but admitted that he doesn’t expect a shutdown to occur. 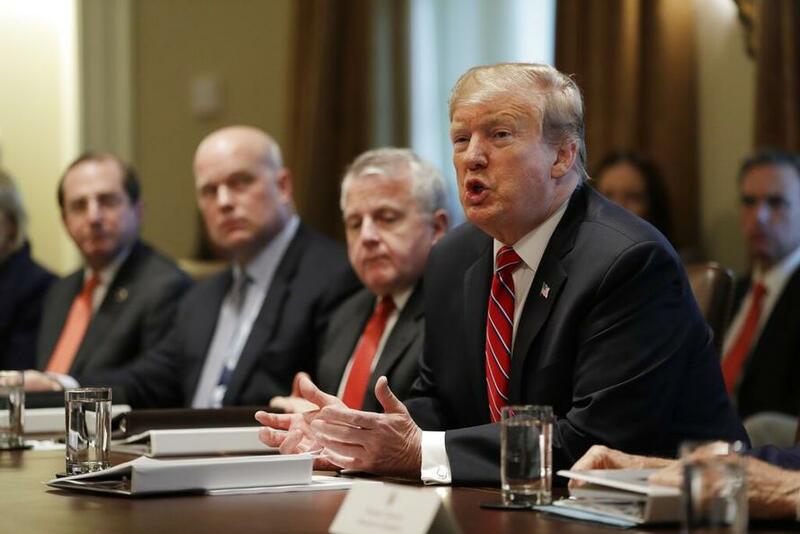 “I don’t think you’re going to see a shutdown,” Trump told reporters during a Cabinet meeting at the White House on Tuesday, but added Democrats should bear the blame if the government closes again. As Bloomberg reports, the tentative pact reached Monday night provides $1.375 billion for 55 new miles of border fencing in Texas’s Rio Grande Valley area, according to congressional aides who spoke on condition of anonymity. That’s far short of the $5.7 billion Trump wants for a wall. But the agreement also rejects limits Democrats sought on detentions of immigrants apprehended in the U.S.